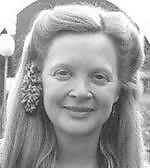 Dorothy Louise "Dottie-Lou" Hodgkinson Brokaw (1941—July 13, 2003) was a Libertarian activist and Life Member of the Libertarian Party. Brokaw was born in 1941, a daughter of Ralph and Jeane Hodgkinson. She was candidate for New York State Assembly, as well as Lt. Governor of New York in 1990. She was also Chair of the Cortland County Libertarian Party. She was an active member of the party, and in the 2002 election she collected over one thousand petition signatures. She died at her home in Woodstock, New York on July 13, 2003. This page was last edited on 21 January 2018, at 00:15.